Capt. 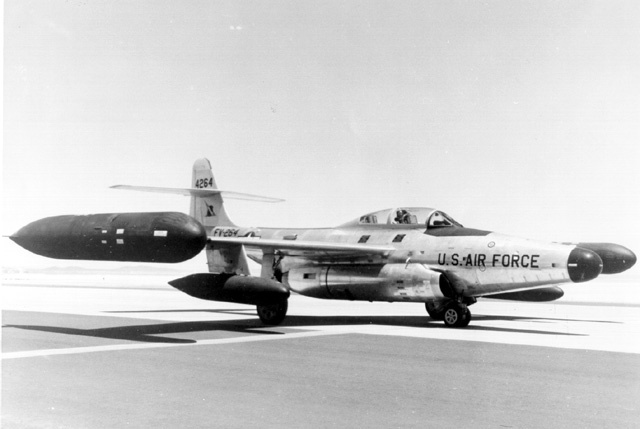 Vern Burke, Pilot, And Lt. Leroy Vestal, Radar Observer, took off for an engineering test flight of the aircraft that was supposed to be within the "local" flying area. After a 36,000 ft afterburner climb test, above cloud cover, the aircraft suffered a series of electrical and instrument failures. The magnetic compass would not settle, the omni (VOR) failed and the radio compass would lose stations when the aircraft was turned toward them. The IFF transponder failed, causing the Caswell GCI station to give directions to the wrong blip on the screen. For some reason, the directional gyro was off about 180 degrees, so that Burke was flying south while he thought he was flying north. 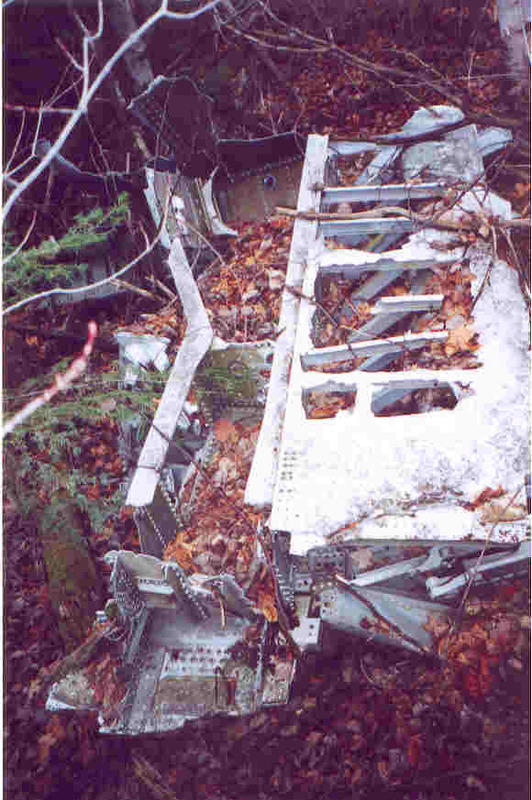 When the aircraft let down through the clouds, the crew could not spot the "five lakes" landmark north of the base. Flood conditions made lakes mishapen and hard to match up with the chart. 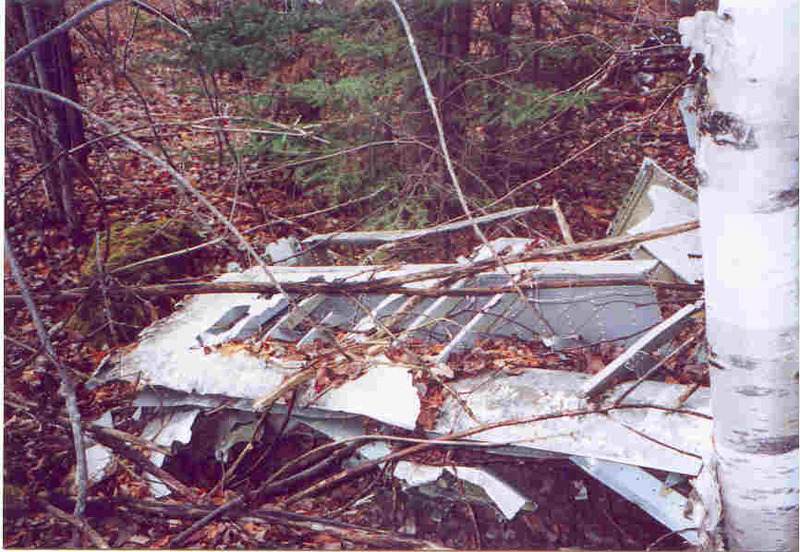 Two alert F-89's were scrambled, but failed to intercept them in time.They finally oriented themselves when they spotted the base of Mount Katahdin, while they were below the cloud ceiling. 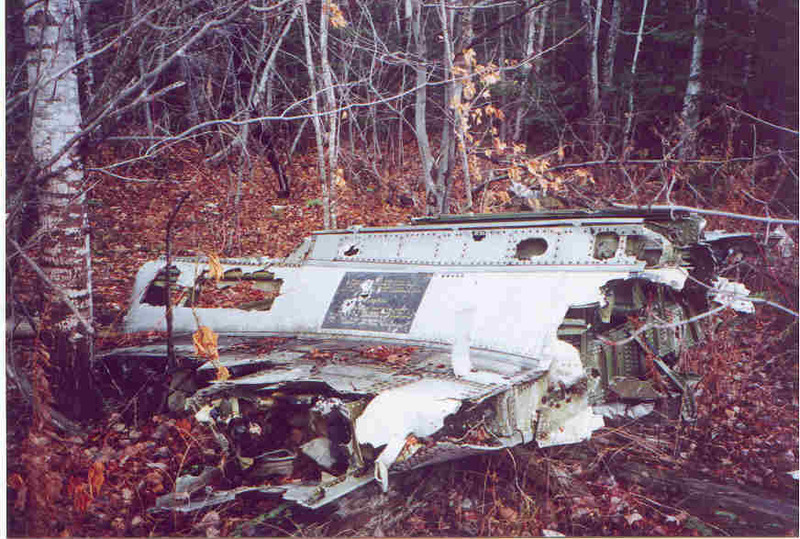 Burke turned "toward" Millinocket (actually away due to the gyro problem) for an emergency landing, but fuel ran low. 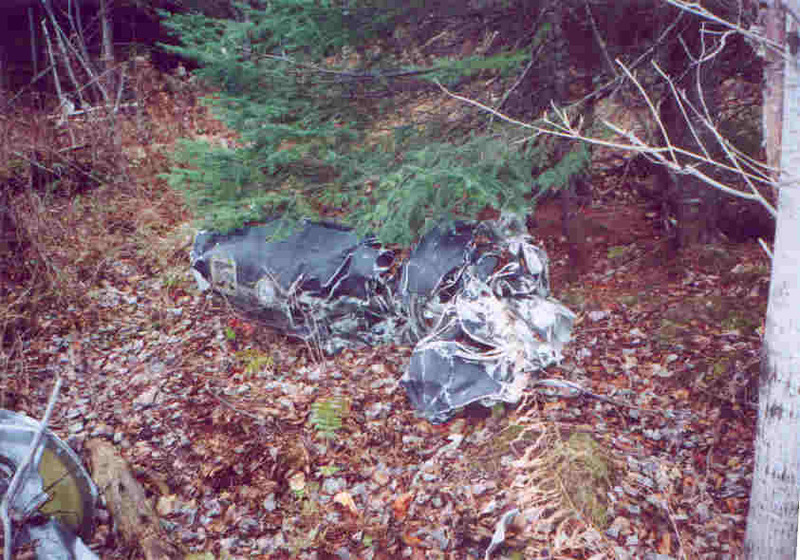 The crew ejected successfully over the Millinocket Lake dike area. 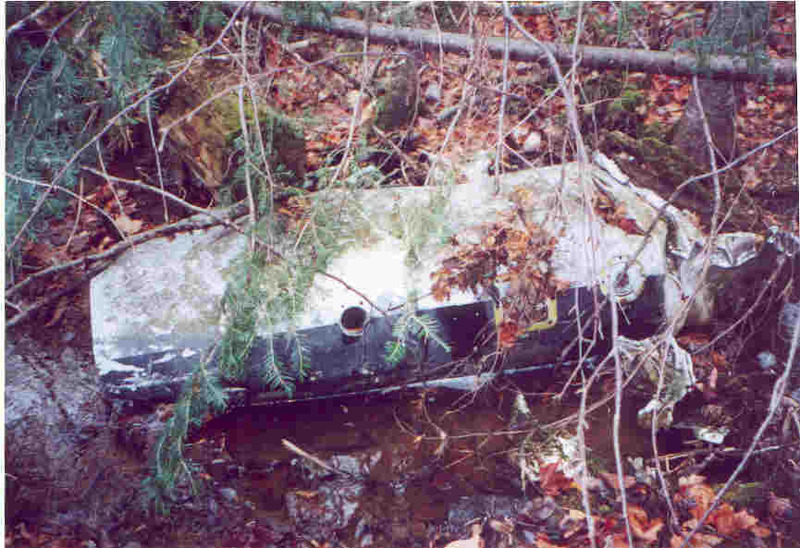 The aircraft was located 11 days later some 65 miles away near Chamberlain Lake. It had cruised along until the fuel ran out and glided gently into the trees. 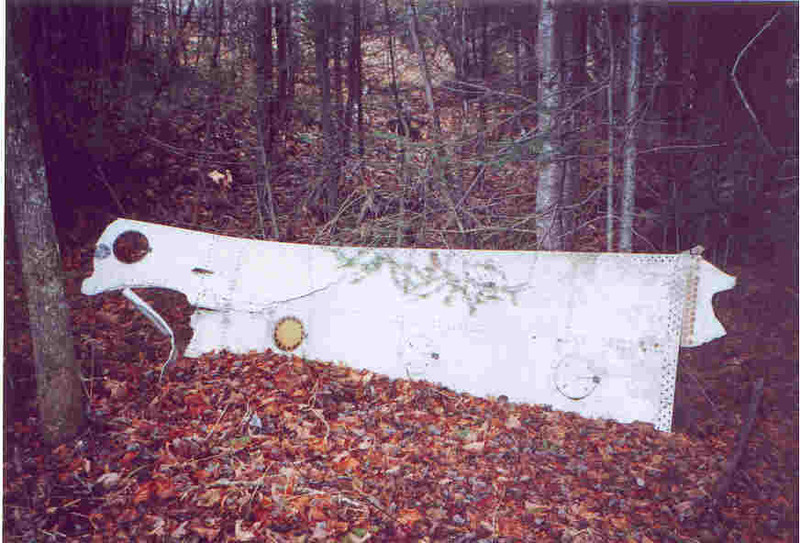 This site is accessible and probably the 2nd or 3rd most well known Maine aircraft wreckage. For this reason, the site has been extensively disturbed and picked over by vandals and trophy hunters over the years. 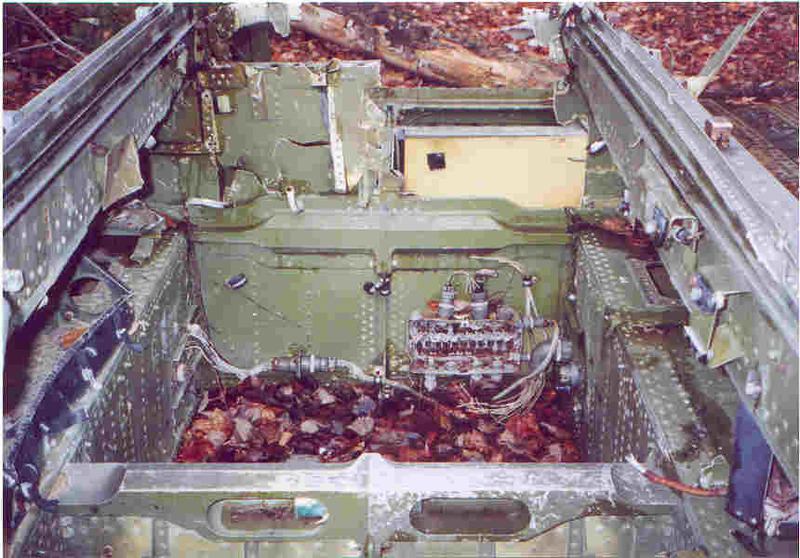 Wing pieces. 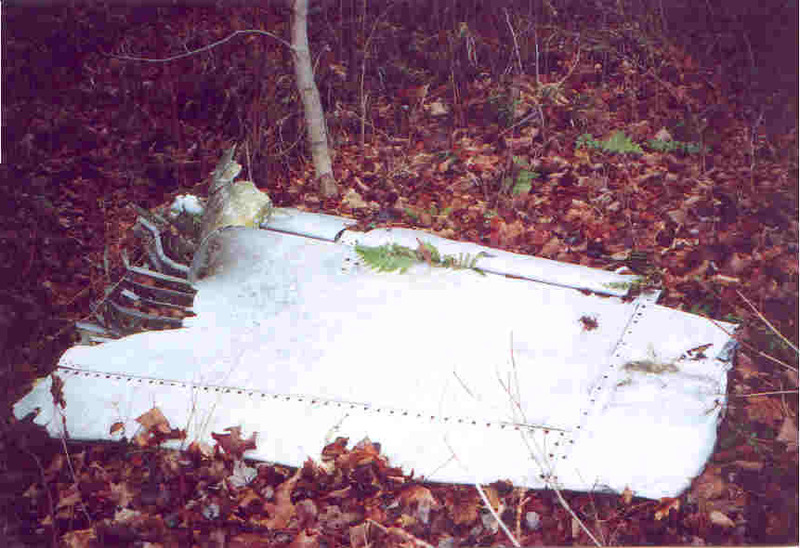 The aircraft broke up along a 300 YD glide through the trees.